I have a newfound affinity for DIPAs, and I have an old love of Stone, so this should really be a fantastic beer for me. 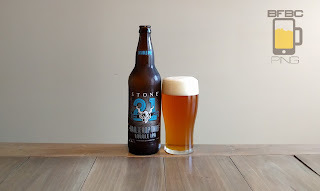 Well, I say for me, but I'm really meaning that this should be a good beer for Stone, as most of them are. But, I'm really kind of self-centered on my blog. The blissfully calm amber-gold beer has a very nice and sticky head that leaves lacing like a good IPA should. The aroma has a lot more malty biscuit in it than I would have expected, but it is offset swiftly by the bitterness of the hops bringing their pine scent to the whole thing. First sip is bold and carbonation-heavy. Tropical fruits, pine, and the sweet bready malt all hit pretty hard right in the middle of the mouth and explode out with the effect of a more dour brown liquor or something like it. It's a bit intimidating, and I'm not one to be intimidated by a beer. Trouble is - this is only a sip. And I have to go deeper. When it comes to stouts, my undying love is pretty well known. 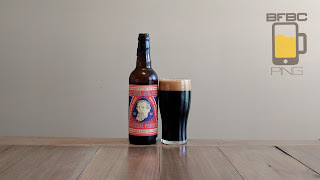 While I have certainly said that a well made porter is about the best thing ever, frequent visitors to this blog (and people who have heard my explanation of how you should properly quaff a Guinness) may find that I can enjoy a stout exactly as much as I enjoy a good porter. It's as black as the starless night of some misbegotten, overcast nightmare land. It's just black and impervious to light. The tan head dissipates to a very light ring around the sides of the glass. The aroma is a rich landscape of chocolate, vanilla, wood, and toasted malt. It's all very inviting, I have to say. First sip is exceedingly smooth. Yes, there is a hiccough right at the end with a kind of bitter, woody twinge, but the meat of the beer is smooth. 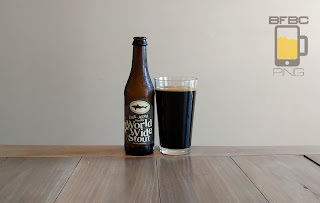 I wouldn't say that it is milky like a Guinness or a Dragon's Milk, but it's easy going with an earthiness and dark fruits that is very unassumingly welcoming. I think I did this one before, but I couldn't find it on this site. I must not have done it, as this is a Google site, and their search engine is obviously top notch. 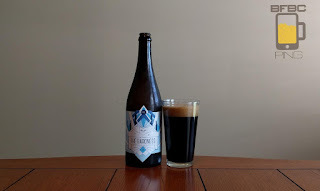 Still, this is a beer done as an agreement between three small breweries, but one of them is Stone, and they are very picky about what awesome beers they produce. Wait! I found it! But it's not this one. The beautiful coppery beer has a sticky, sticky head that is seriously exactly what I want to see. The aroma is floury malt and a bit of citrusy hops, but the hops are taking a back seat to the malt. Either way, this beer is looking at me with those bedroom eyes that I can't resist. I'm going in. 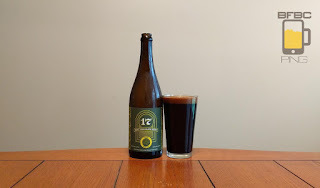 Mint chocolate in a stout? I mean, chocolate has been proven to be excellent in the right beer, but mint is questionable. I figure this beer is supposed to be a dessert beer, but even those are probably better off not trying to add mint to the mixture. Well, these are artisan brewers (which I usually assume means hipster) so they must have had a plan going in. The very, very, very, very dark brown beer has just a regular dark brown head. It's possibly one of the darkest heads that I've seen atop one of these dark stouts, and I'm intrigued. The aroma is muted mint with more vibrant chocolate - which is the right way to go, if the taste follows the nose. The pour was pretty unusual to me, as I really think this pours almost like a slightly runny syrup. 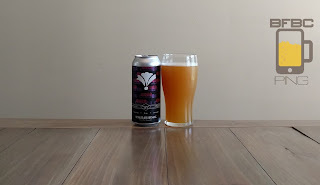 The beauty of Bearded Iris is that their beers are unfiltered, and that raw, delicious beer can do what it wants with the taste buds. What they usually want to do is delight and amaze, but you're leaving yourself open to them doing pretty much what they want. These local guys are trying their best, and I'm all for it. The grapefruit juice-like beer has pretty much no head, but scattered bubbles rising to the surface belie the carbonation lurking within. The aroma of heavy citrus makes me think that the "Tiny" in the name may not actually translate to the taste. There is some spice adding to the orange, tangerine, and grapefruit citrus, tantalizing the taste buds from afar. First sip is more pepper than I expected. I thought there were only light spices, but this is packing some serious flavor outside of the expected citrus. The malt is also a lot more forward than I expected with a dank and woody sweetness to compliment the tangy fruits. This says it is oak-aged, but not aged in a barrel that used to have some kind of whiskey or other heavy liquor in it. One of the even more curious things is that this doesn't say anywhere on the bottle what the ABV is. I had to go to the Dogfish Head site to find it, and there I found a range. I picked the top end of 17.5% (it was only 1.5% different, anyway). 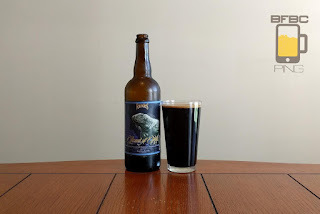 The deep brown-until-black beer sports a thin, chocolate brown head that doesn't really want to be here, and it scurries away pretty quickly as the beer sits. The aroma is heavy on the oak, as you might expect. It definitely has the vanilla peeking through and even a bit of chocolate, but oak is winning the day. I don't know what a coyote has to do with beer or an IPA specifically, but here we are with a coyote and an IPA. These guys are from Tennessee, so I'll give this a good try, but I'm pretty sure there aren't a whole lot of coyotes here. Still, they went that route, and I'm heading there with them. The hazy golden orange beer doesn't have a whole lot of head going on, but what it has is nice and sticky, leaving lacing of tiny bubbles spread fairly evenly on the side. The rest is a gentle pillow on top that is relaxing just to look at. 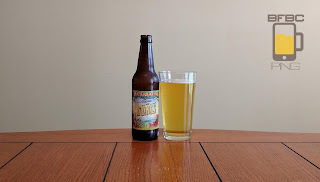 The aroma of very relaxed citrus hops, honey, and grains fill the nose, but it is a very mild aroma. This sucker made me look hard to see what the name of the brewer was. I'm not even sure I got it right in the title of this entry, but I made the effort, and I hope I can get some credit for that. 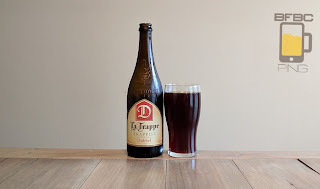 The fact is, this tries really hard to hit home with being "Trappist" more than anything else. Usually, that means the beer was brewed by monks (or monkettes - I don't really care) in Belgium or the Netherlands. Oh what a delightful looking beverage. No, it doesn't have the head that I would like to see. In fact, it winds up having no head whatsoever. But the color is a delightful deep plum, and the aroma is that distinctly Belgian ale style of sour cherries, plums, and seltzer. First sip is a deep pool of Trappist know-how; it has the plums, cherries, and molasses. 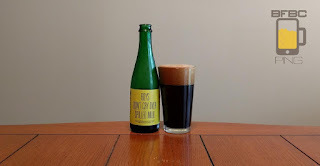 The carbonation is pretty distinct and almost overwhelms, but there is more to this beer than just bubbles - it aches with the need to be tasted - to be gulped. Look, I'm not to beat around the bush. There's no reason for me to lie. 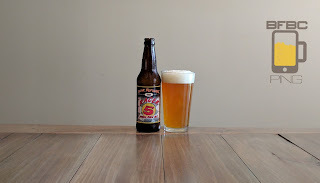 I didn't like the first Boulevard beer I had, and I'm not sure that they can produce a beer I'll genuinely like. I picked this one up out of pure hope. Hope is a powerful force, but it's not directly influencing Boulevard, so I may be out of luck. When initially poured, this beer had a look of something like a black and tan, as the top was filled with tiny little chunky bits while the bottom was a lot cleaner. As everything settled, the beer just attains an overall murkiness inside of its yellow–gold coloring. The sticky white head leaves just enough leasing to let you know that hops have been involved in this sucker somewhere. The aroma is a bit caustic, and it seems heavy on resin and wort. 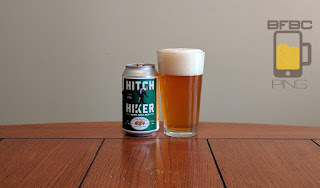 When I picked up a few Tailgate beers last time I was at the store, it didn't even occur to me to look up how well the previous Tailgate beers had done in my reviews. See, when I started this blog, it was mostly just to keep a record of what I thought of the beers. I can't tell you if you will like a beer - I can only tell you if I liked it. The bright yellow-gold beer has a suitably sticky head that leaves enough lacing to set it's claim as an IPA. It's surprisingly pretty clear, rather than thickly murky as many of the recent IPA entries have been. The aroma is citrus and pine hops with a fair amount of backing from the bready malt. So, we have the right ingredients for a great IPA. First sip is pretty freaking awesome. 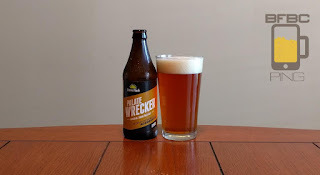 It has some slick mixture of hops and that bread malt that results in a sweet and fruity beer with the pine managing to add a bitterness that makes this way too complex to just sip, doesn't it? Following up the chocolate-cherry brother that had too much of a coffee taste is this bourbon barrel sibling. The fact is, I expect this will be better, as the bourbon and wood will likely overcome the coffee that I found a bit off-putting from the other one. Let's all hope. There is no mistaking this beer for the other from the get-go. The amount of froth that is contained in just the smallest amount of beer is quite impressive - no coaxing necessary. In fact, in order to get this picture, I had to let it settle three times and pour slowly down the side of the glass every time. The head has staying power to the point that I don't even know if it leaves lacing, but I suspect it does. The black-brown beer has the aroma of cherries and chocolate like its sister, but it adds that bourbon alcohol whiff. This stout is coming from a brewer I am not familiar with, but I got this one and the bourbon barrel version of the same beer. I guess this will be a stout version of the Pepsi challenge, but cherries and chocolate added into the mix could throw this whole thing off quite a bit. Still, we don't know until we try (or read a report from someone who already tried). The very dark brown beer is thicker than usual and has a light tan head that was very difficult to coax out. If I didn't know better, I'd say that this beer was aged in bourbon barrels, but I have a version of that coming. This one has an aroma of (not shockingly) chocolate and cherries. I also smell smoke and coffee in there with it, so this is going to be pretty solid. I'm not sure the pumpkin is intended for beer. Yes, I've tried many different beers that had pumpkin in them, and some of them were very good – but that doesn't mean that pumpkin is really supposed to be in it. Nevertheless, Halloween is upon us, so I'm going to try out another pumpkin beer. The very dark beer is not completely impermeable to light. There is a definite orange/red tint to the beer when the sunlight shines through it. The head is at least somewhat sticky and there's enough of the tiny little bubbles hanging around that the beer never gets naked. The aroma just about reeks of pumpkin. It's not like a pumpkin seed drink or something – this is all about the meat of the pumpkin. The smell is like an un–baked pumpkin pie. Not sure if that's a good thing or not, but I'm willing to try. Wow. That's one crappy label. Wow. That's a lot of head. Wow. That's a strange and seemingly inexcusable name you got going there, To Øl. 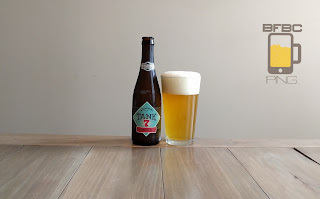 So, we are starting with a blank slate in terms of beers, this side of the fact that this is a Belgian beer, and I tend to like the kind of beers these guys come up with. She's a black beer with a tan head that has more lacing than you can possibly want from a beer. The aroma is cherry, sweetness, wood, and light smokiness. 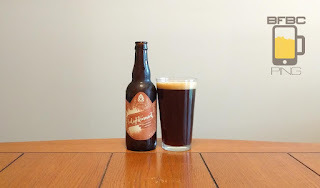 It isn't as smoky as most porters that I've had before, but different isn't necessarily bad. First sip is very sweet. That malt is certainly sweet, but I think the lactose sugars are just going hog-wild with the sweetness. I can also taste a bit of the wood and definitely the cherry from the smell, but this is without a doubt a dessert beer. 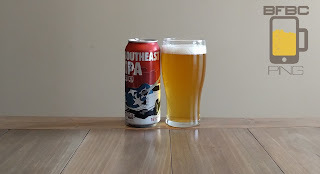 From the muddy banks of the Cumberland comes this Nashville brewer with the latest entry for my eventual prize of "Best IPA Ever." Now, I will technically have to try every IPA that has ever been made or will ever be made in order to actually give out this award, but I'm willing to give it a try. The murky amber beer has almost no head, even though I tried to coax one out a bit during the pour. Instead, I get a very simple ring around the rim and the suggestion that I shouldn't try to get more foam. The aroma is pervasive and citrus. I smell grapefruit, mango, orange and maybe even some lime. First sip is not as bold as I anticipated. 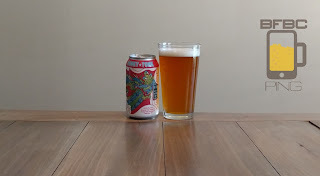 Instead, it is all that fruit, a little tart, and not bitter like I would expect from a hoppy beer. I don't really taste the malt which is why I'm so surprised I haven't been hit with a bitter hammer. It's not unpleasant, but it's not really letting me know what it's all about. 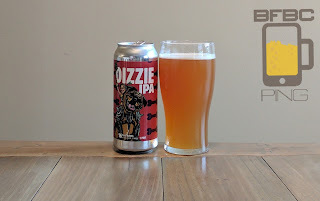 West Coast IPAs are quickly becoming my go-to for pure enjoyment with a nice, refreshing beer. Every time I look at a Boulevard, however, I remember that they couldn't do an IPA well. I wonder if they have learned since that fateful day in Kansas City. The pale gold beer has a fluffy white head that leaves all kinds of lacing. The aroma is mostly citrus hops with grapefruit at the front. I can't really smell much malt, and I guess that'll be okay for a hoppy beer, but a west coast IPA would not tend to be all that hoppy, right? First sip is not staggeringly good. It has the bitterness of the hops without the beauty of it. 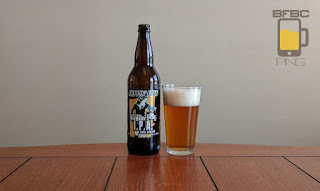 Instead, there is a bit of wateriness followed by a sense of citrus hops, acidity, and then the wave of bitterness that just keeps on giving after the taste has gone away. Will the swig do any better? This beer has a very strange "Racer 5" logo that immediately puts me in mind of Speed Racer's brother, Racer X. The "5" may as well have come from the Mach 5, but they put enough of a twist on the name to avoid having to pay any royalties. This kind of perceived marketing sham doesn't bode well for the beer, but it's a West Coast IPA, so I'll take my chances. The honey gold beer has a healthy, sticky head that is slightly off white. It is the king of sticky that results in patchy lacing that should be hung in the Guggenheim. 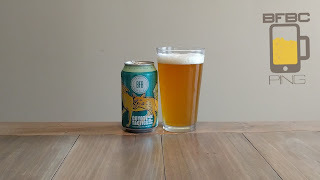 The aroma is floury dough and bright citrus hops, and it makes a normal men weak at the knees (assuming that normal man is me, and - this particular time - it is). When Bearded Iris shows another beer, I pay attention. When it's yet another IPA, I wonder just how different it can be to all of the other IPAs that these guys have put out so far. Admittedly, many of these are very similar to each other, but they all have their own distinct personalities. Let's meet this one. Another hazy orange-yellow beer that has the opacity of the darkest stout and the head of a good drink of freshly squeezed orange juice. The aroma gives it away with the light citrus hops and dough. 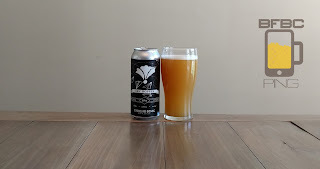 The aroma is dull compared to others in the Bearded Iris stable, and I'm not completely sure why, but my curiosity has been piqued. First sip is pretty freaking good. It's got pineapple, pears, oranges, and a whole bunch of other tropical fruits just dancing around with malt holding the bitter back like a dam holding back a tide. And it's doing a very good job of it, so the sip is juicy and sweet, and I want more. And I shall have it. It's been a while since Cammo came to me with a new beverage, and I'm always grateful when I get the chance to try something new. This is an All Day IPA, so, I'm particularly happy to get a chance to drink it. I like these kind of mellow beers with their intricate, but subtle hops and reasonable, yet gentle malt back-end. Let's see what Cammo brings. The orange-brown beer has very little carbonation. This is unusual on its own, as Cammo beers are famously over carbonated. This one required a fairly rough pour to get the minimal .25 inch of head that is in the picture. The aroma is a LOT more malt than I expect from an IPA of any kind. It smells like freshly kneaded dough and lite citrus. Previous Ole Smoky attempts... well, there was only one other one, and it was their Apple Pie. It wasn't great. This is a kind of odd one to deal with, though. It's not technically moonshine - it's cherries that have been soaking in moonshine instead. I've decided to pour most of the glass as moonshine and leave a single cherry in it to make it pretty. 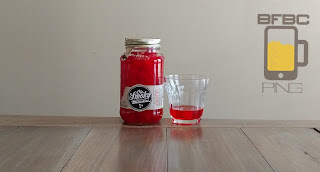 The moonshine is as red as the syrup (or whatever it is) that maraschino cherries steep in. The aroma is like a mild cherry cough drop in liquid form (not a cough syrup, mind you, but the more gentle drops). It definitely smells of the alcohol that you might expect of a 50% ABV beverage, but it's heavy on the cherries, so that works out just fine. I do enjoy a good porter. Right when I started this blog, I indicated that porters were pretty much my favorite style. I think I've changed a bit, but I still really like a porter. This one is brewed here in Nashville, and this isn't the first thing I got from this brewer, but they HAVE to put out a good beer, right? 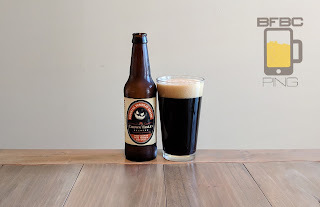 Black as pitch and proud of it, this beer sports a cap of light tan bubbles that stick around like a hunk of spinach in one of your front teeth. 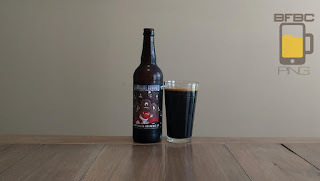 The aroma is that of maple, dark fruit, toffee, and earth. I was expecting some smoke or chocolate, but I really don't smell any. I expect the taste may not follow the nose. First sip is a bit of a punch in the tastes. It hits hard with what seems like hard liquor like this was bourbon barrel aged or something similar. Honestly, I will probably try any new Victory beer I get my hands on. As far as I know, they are still an independent craft brewer (unlike the unfortunate Lagunitas with their Heineken overlords). Just outside of Philly, PA, they produce some very good beers, and I expect great things with every new beer. Had to pour this twice because it filled with head with a little more than half of the bottle in the glass. The head is a stark white, and the beer itself is a calming gold. The aroma is floral and spicy, just like an IPA from Victory is kind of expected to be. First sip is mostly bittery hops and the various spices that I'm pretty sure Victory uses in their other beers in different quantities. The malt is actually pretty forward for an IPA, and it is cracker, but they are not quite done, so they are breaking easily with the moistness. Think Ritz rather than saltines. I expect a brand like Honky Tonk to be straight out of Nashville (like this is) and about as in your face with redneck as Yee-Haw is. This one has a picture of a dragon on it and some nonsense about dragon powers written on it like someone just picked up a batch of throwing stars and is really feeling the feng shui. The light amber beer has a sticky white head on it and an aroma of biscuits and all sorts of hops (mostly citrus). It seems like it's been forever since I had a beer with such a sticky head that leaves so much lacing, but I might just be longing for it. First sip is lip-smacking crisp. The hops are heavy, and the bite of bitterness is like a sweet embrace that I've been missing for a while. The hops are citrus and floral. Hell, I think there may be pine in there doing its strange piney thing as well. The effect is pretty powerful, but it is refreshing as well. 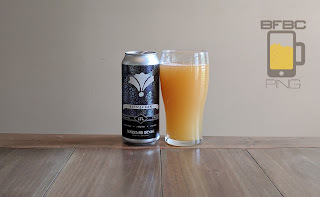 The lovely folks at Bearded Iris have brought another beer, and I have to say that I look forward to their new beers about as much as a new Lagunitas. I mean, they don't consistently score as high as Lagunitas does, but they are so much outside the box and yet have such a distinct brand flavor that I just love these guys. This isn't as juice-like as most of the other beers. It's like the orange drink to the other beers' orange juice. The top settles quickly, and there is simply a light dusting of bubbles on top as if there had been the slightest of snowfalls, and the few flakes left were blowing around in the wind right on top of the sidewalk. The aroma is citrus and bread, and it is thick enough to slice. 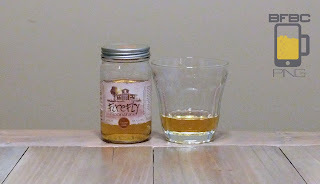 Firefly is kind of my golden child when it comes to moonshine. Well, I say that, but I think I had one that I really liked and one that I hated. BUT, the Apple Pie was definitely the one that made me think that moonshine could be enjoyed, despite not actually being beer. This is darker than the delicious Apple Pie, and it just about hits the head on the color of caramel. It has the aroma of caramel, too; it's the alcohol-tinted caramel like you might expect in a moonshine, but it is distinctly caramel. It's thick, too. I could smell that caramel as soon as I broke the seal. First sip is not 100% caramel. The warm feeling going down into the gut is very moonshine, and there is something else there tinting the caramel with adultness. Alcohol twinges all around the caramel, and I imagine this is what the candy that is infused with liquor would taste like - it's very sweet. 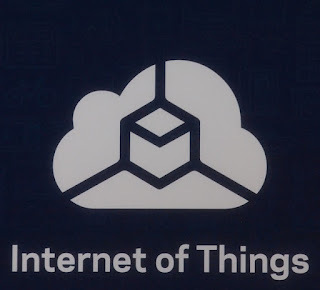 As the Internet of Things (IoT) becomes more ubiquitous, it becomes more and more important that we ensure that all of these new "smart" devices are being used for their intended purpose, and they are not being abused by hackers, malware, or even our own government. This class of devices includes things that are relatively banal like toasters, refrigerators, and color–changing light bulbs. While these seem innocuous enough, these can be used as pivot points to attack the rest of a network, sometimes they contain login details for cloud services or wifi networks, and sometimes them malfunctioning can simply be annoying. Sometimes, it can mean more. There are lots of questions around securing this stuff that I'm not going to get into here. A couple Weyerbacher beers had been recommended to me by friends and relatives, and this is the first chance I am getting to try them out. I'm not saying they have a fairly high bar to meet, but the expectation levels are not low; people don't normally go that far out of their way to recommend a beer to me. The very yellow beer sports almost no head right out of the bottle, and it has even less after it settles. There will be no lacing with this beer, that's for damn sure; I don't even get the usual ring around the sides of the glass. The aroma is sweet and delicious malt with that peculiar Belgian yeast without a shade of funk in it. Instead, it's bright and slightly citrus hops. Is this a stout? A porter? A black ale? A black lager? In their very artisanal fashion, Prairie has decided not to tell me. This is exactly the kind of thing that made me decide not to buy any more of their beers. I had one that had coffee in it, and they said nothing about that on the label, so they can go pound salt. BUT Jeremy convinced me to get two and give them another chance, but I am warning these people that they are on my very last nerve. The beer is thick and black. The head does not want to come out to play, so I really did my best to get the head as thick as you see here. It didn't hang around for too long, and there's no lacing or anything else going on. There is simply a mocha-colored smear on top with a ring around the glass. The aroma is thick with chocolate and alcohol. The Good People try, and I am all for them trying. They have had one good and one bad one so far (at least that I have tried). The DIPA was good, and the regular pale ale was not. What will this beer right in the middle - the holy grail IPA - do for me? 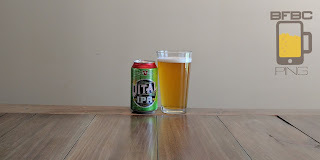 The murky depths of the pale amber beer emit a slight aroma of citrus hops, but the smell is really having a hard time getting through the thick cap of sticky bubbles that leave enough lacing to let you know this is an IPA. First sip is classic IPA - heavy citrus hops with a layer of dust on them and a tang and bitterness that merge right at the end. It's a nice kind of twist where they want to quell the bite at the end, but they want to keep things lively, and they are working it well. Bourbon, Founders, and lizards. Two out of three seem to be my sweet spot these days. I'm not sure that I would actually like a lizard-derived beer, and thank goodness there doesn't appear to be a single lizard killed to make this beer. 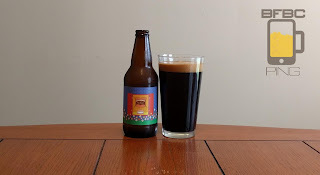 The brown-so-deep-as-to-be-indistinguishable-from-black beer doesn't have a whole heap of head, and it vaporizes quickly enough, leaving an incomplete ring around the glass with a few scattered bubbles across the top. I expect no lacing. First sip literally makes me shake. It is full of damn flavor with a heavy, heavy alcohol being masked by tartness, fruitiness, and chocolate. It is a good taste, but it is strong. It reminds me of those old TV shows where someone would take a shot of alcohol and then stomp their feet with a screwed up face because they are overwhelmed. My only other Hoppin' Frog beer was a stout that did not impress me. One beer is not enough to decided on a brewer, and this had a cute little frog (okay, it was the same frog as the other bottle, and neither of them was actually "hoppin'") on the front, so I figured - what the hell. The golden amber beer has quite an impressive head. It's not excessive, but it certainly lets you know it's there. Eventually, it leaves a nice little trail of lacing down to a 1/4 inch of foam on the top. The aroma is a little bit funky, dusty citrus and pine hops. It's not a little smell, but it IS a little bit funky and musty. First sip is a crisp snap with funk and floral fun chilling under it all. Citrus is all over this thing, and it even re-asserts itself a couple of seconds after I thought the beer was already gone. It's an unusual mix of everything just kind of lounging around, explaining to everyone how cool it is to listen to vinyl records again. Mantra, you are the Nashville brewery (other than CSB which has pretty much disappeared) that I think I have been waiting for. When I got here, I was told by pretty much everyone that my only option was Blackstone, and they, to put it nicely, were not the best brewery I've ever sampled from. That is a pretty picture of an opaque red-tinted brown beverage with a nice little head. The head goes almost entirely away, but it leaves me with the tiniest of rings around the side of the glass. The aroma is brown liquor and heavy alcohol that has been aged in wood (which is pretty much what a brown liquor smells like). First sip is strong alcohol, caramel, toffee, and a kind of heavy grain bread. It's a bit overwhelming, but it gives me the sensation of something really unnecessarily potent. The alcohol is making things really difficult to work around. I've had alcohol-rich beers before, and they can only sometimes deal with it enough to be a good beverage in their own right. 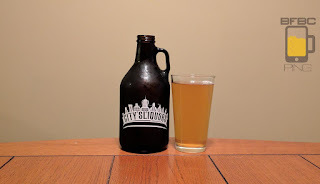 Another new brewery in the Nashville area. I am loving the choices I have now, and I encourage more. This beer is about as straight-shooting as you can get by not even bothering to add some other name to the beer, and they just call it IPA. I love the attitude, and I hope more brewers follow suit. The sort of honey-amber beer has a sticky, sticky head that leaves quite a bit of lacing, and I'm loving it. The aroma is exactly the amount of hops that I expect to get, and it is a mixture of pine and floral. If there's something else here, I am not smelling it, but it could just be that the hops are having their way with everything. First sip is WAY more mild than I expected. I mean, it's not going to be overshadowed by your average red ale or something, but it is gentle and almost smooth - which hoppy beers never are. Crisp? Maybe. Bracing? Frequently. But mild? No, that is one thing they just aren't. Maybe a full swig will explain things. 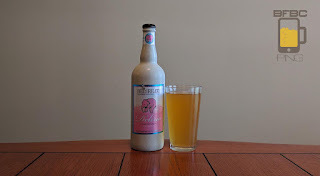 This beer has a very odd label - it has the name, but I was so distracted by the picture of a blonde lady holding the beer that I didn't bother to turn the words toward the camera. The label would really be better suited to a German Blonde than a Belgian Golden, but this is where we are, so let's rock! The bright golden beer has a stark white head that leaves a fluffy pillow even after it sits for a bit. The aroma is wheat, spices, and lemons. I keep forgetting that golden ales are basically just wheat beers, but that became self-evident as soon as I could smell it. First sip is sudden and jarring. I didn't expect the dry smack of the wheat with the tang of the oranges and an unexpected funk from the yeast. It isn't bad, but it is very solidly in my face with the taste from the depths of... Belgium? It's strong and unflinching. My only Fat Bottom beer so far was not good at all. 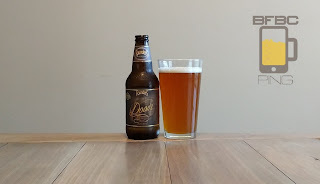 I'm not going to let that discourage me, as I have really started getting into these bourbon barrel beers, even though I am not a fan of bourbon in general. Maybe my opinion of bourbon is changing, too, and I may go find out one of these days, but I have a fridge full of beer, and I need to clear some out first. Black as pitch, this sports a very nice brown head, but it goes away quickly, and the remnants mostly grip to the sides of the glass. The aroma is deep liquor, brown sugar, and caramel. First sip is syrupy, which these all seem to have in common. Even so, it is smooth as all heck, even though the alcohol-heavy bourbon asserts itself well. The oak and even chocolate are making the experience complete, and I could totally see myself just sipping this into the night, but that's not how I do things. Another beer that was on tap at my local beer pusher. 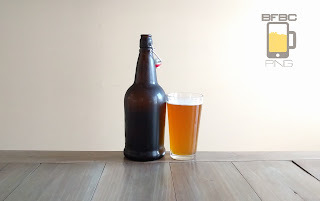 I got the small growler, and I don't know that I shouldn't have gotten the big one. Well, there's no use crying over unspilled beer. Instead, let's just concentrate on the new beer from the new brewer that I have to enjoy in front of me. She's not red at all. Instead, it's a simple clear yellow with a very light orange tint. The head is not really there in the first place, and it doesn't seem to want to generate itself. I'm not sure what I should expect from these growlers, so I'll deal with it the way it is. The aroma is excessively light, and it is little more than grains and sweet malt. First sip is more peppery and spicy than I expected from the really light aroma. It's playful with a citrus and bread in there to give the beer its meat. The sip is like looking at a mountain range through a porthole. I need to drink this like it was made to be gulped. The mostly clear copper colored beer has a white-ish head that has just a hint of tan in it. My cousin Paul once had a well thought out post on how color isn't color, so I'm not going to quibble about this - let's say this is light sandstone tan. The aroma is a caramel and floral hops that is effervescent in spite of the settled head; I'm intrigued. First sip is rich and floral. It has grains and bitterness backing it, but the bitterness is being cut down by the caramel in the hops which carry their sweetness with them. It's a good enough start, but it seems a little harsh and untamed. Let's tame it. So far, the beers from Huyghe have been either outstanding or spectacular. This is a special brew that was only brewed by women. Now, I have no idea how many men were involved in the previous beers, and I genuinely don't care - the beers were very good. Presumably, the women involved in the brewing of this beer have been involved in the other two, so I have no reason to doubt the impending awesomeness. What a blonde with its hazy, straw yellow color and stark white head. The head dissipates completely with time, and there are streams of bubbles coming from unseen points of nucleation somewhere in the middle of the bottom of the glass. The aroma is strangely a kind of grape and honey wine, with mandarin oranges spicing things up. 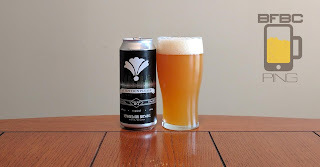 Another of my brewery firsts, this is a simple pale ale from Blackberry Farm Brewery (or BFB as they call themselves sometimes). 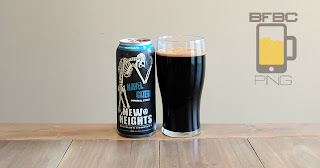 I had someone recently make a derogatory comment about beer in cans, and I generally agree that beer is better out of glass bottles, but I've found quite a few beers that were only sold in cans, and many were pretty good, so I try not to judge anymore. The yellow gold beer cascades like an upside down whitewater section of a river. Okay, maybe not quite that much, but a lot. The good head is sticky, which is surprising considering the large size of the bubbles, but I'll go with what works. The aroma is that of tropical fruits, lemongrass (which I can't say I'm fond of), and a lightly toasted malt. The Bearded Iris Brewing Company has been pretty much all over the place so far. Being a small brewery, and being from my current hometown, I give them the full benefit of the doubt that they are capable of making more than just the one outstanding beer. 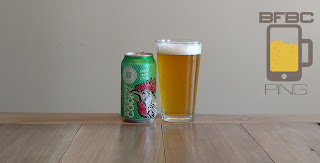 I have had a few Double IPAs lately, and I have really liked this style of beer - it may be my new favorite. The cloudy orange beverage starts with a nice inch of head that leaves an uneven, yet not insignificant pile, of bubbles on top. The aroma is positively overpowering with its citrus and yeast. I swear I can smell it three feet away, and that isn't a bad thing at all. The smell is sweet and enticing to the point that I'm just going to go ahead and have a sip.